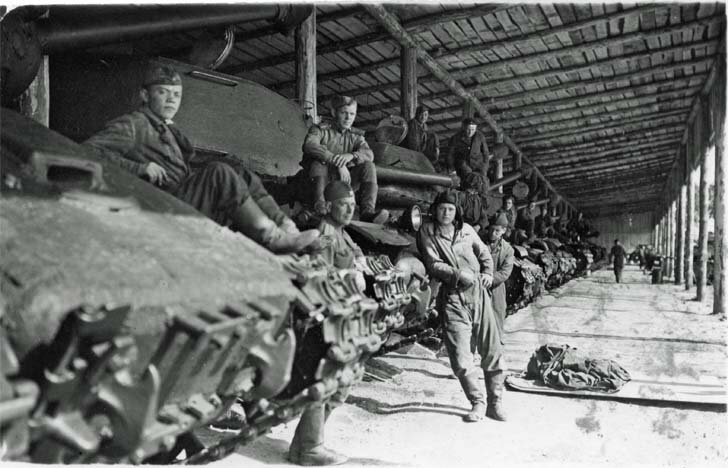 JS-2 Soviet heavy tanks and their crews from the former 88-th separate heavy tank regiment next to the built in Germany Güstrow tank park. After the victory of the three separate regiments, including the 88 th Heavy Tank Regiment, 74th heavy tank and self-propelled regiment (commander Colonel R.M. Lieberman) was formed.